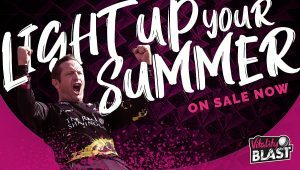 Somerset’s hopes of winning the 2018 Vitality Blast came to an end at the semi-final stage as Sussex Sharks came out on top by 35 runs. 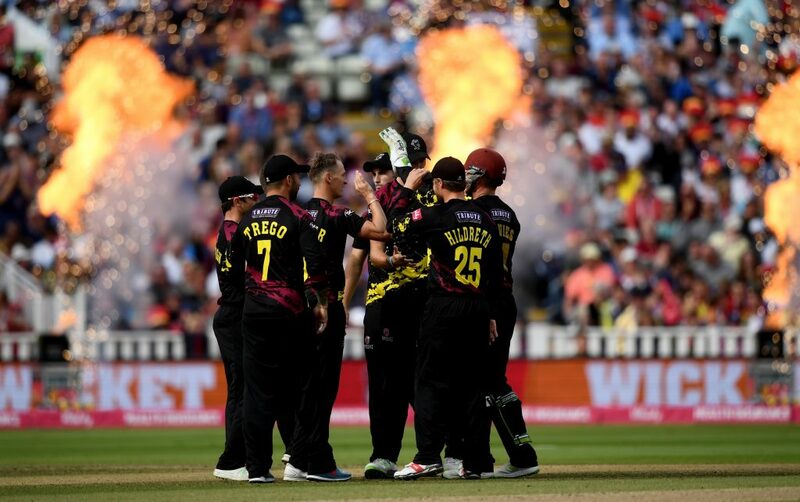 The Sussex innings relied heavily on an impressive 92 from captain Luke Wright, and it was a total which proved beyond Somerset, despite the best efforts of Tom Abell and Corey Anderson who shared a fifth wicket partnership of 84. After opting to bat first Sussex skipper Wright led from the front as he helped his side to 202 for eight from their overs. Wright made clear his intentions from the off when he hit two sixes off the second over of the game that was bowled by Jerome Taylor. It was Wright who saw up the Sussex 50 with a six off Lewis Gregory in the fifth over. Delray Rawlins briefly looked threatening but on 18 he skied a Max Waller delivery which Steve Davies claimed. Wright brought up the Sussex 100 in the 12th over and during a three-over spell from Somerset that went for 67, the opposition skipper was very much to the fore. On 92 however Wright was caught by Waller at long on from the bowling of Anderson, which made Sussex 193 for four. Suddenly Somerset seemed to find their rhythm and grabbed back the initiative from Sussex. Two wickets fell off consecutive balls to Taylor on 197, the first when he had Michael Burgess caught by Waller at long on and next ball he had David Wiesse well caught at short fine leg by Johann Myburgh for 52 off 29 balls. 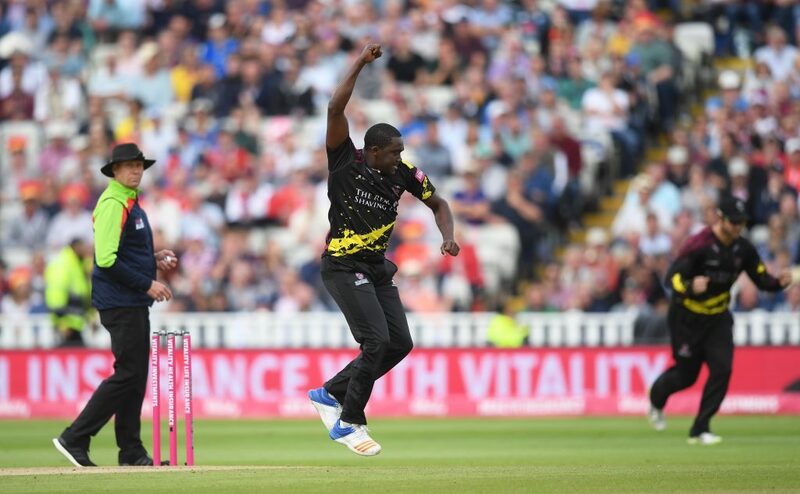 In the last over Gregory had Chris Jordan caught on the mid wicket boundary by Craig Overton on as a sub fielder and then Jofra Archer was run out off the last ball. Taylor was the pick of the Somerset bowlers with four for 20. The Somerset innings got off to a disappointing start when they lost Davies for one. Johann Myburgh, in his last innings before retiring, hit an early six to cheer the crowd but on 22 he was out. Peter Trego went for five and then James Hildreth followed for 15 with the score on 48 at the end of the seventh over. However, at this stage of proceedings Tom Abell was joined by Corey Anderson and it was the New Zealander who saw up the 50 with a singe off Will Beer. 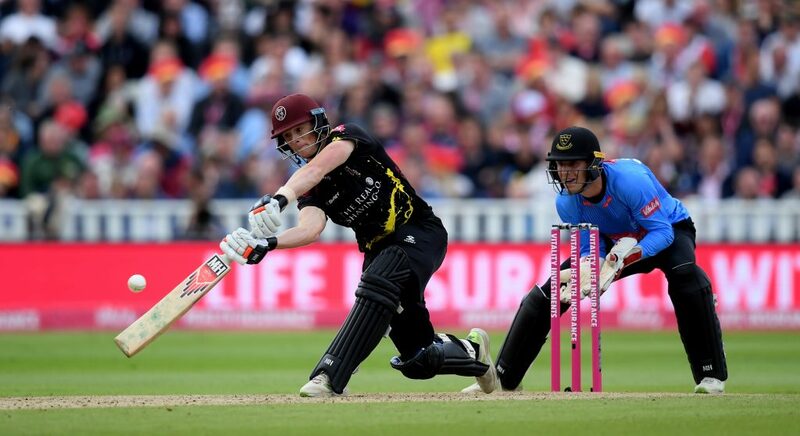 Abell, who has been one of the success stories of the Somerset season, was seeing the ball well and took 24 off the ninth over with two sixes and three fours, which lifted the supporters spirits and suddenly there was a belief that the game could be won. The fifth wicket pair were growing in confidence and when Anderson took a boundary off Beer the partnership was worth 50. The pair had taken the total onto 132 when Anderson drove Briggs straight back down the wicket. The bowler got the slightest of finger tips to touch it on to the wicket and with Abell out of his ground he was run out for 48- a cruel end to an impressive innings. On 46 Anderson appeared to have been caught out and started to walk off but was called back by the umpire because the ball was above waist high and adjudged a no ball. However, on 48 in the 18th over, the left hander perished when he was caught by Tymal Mills off Jofra Archer, his runs coming off 32 balls. 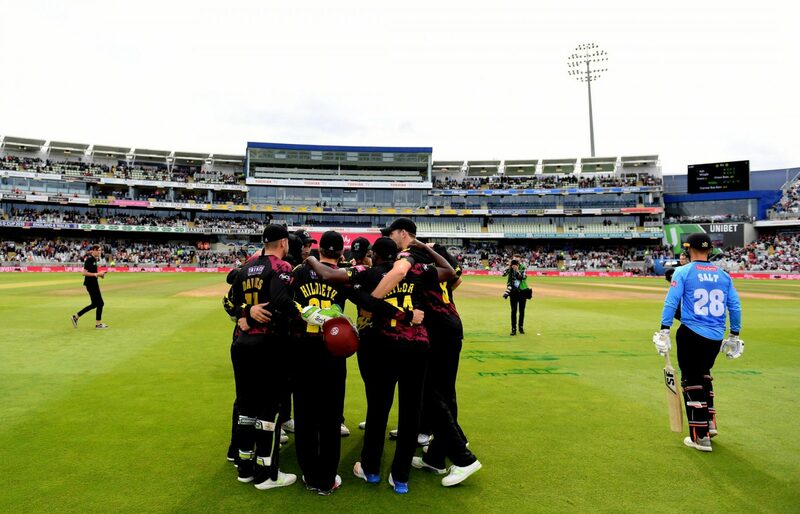 Gregory went for seven, bowled by Jordan in the penultimate over, after which Jamie Overton was bowled by Mills for five before Somerset ended on 167 for eight. After the match Lewis said: “I don’t think that we quite fired with the ball in this game as we have done through the competition, but I think we have to put it down to them as well. Luke Wright played brilliantly and put us under pressure. We had to try different things to try to keep him quiet and we didn’t quite manage to do that which is a real shame. “However it’s a game of cricket and today unfortunately we came off the wrong side of it.